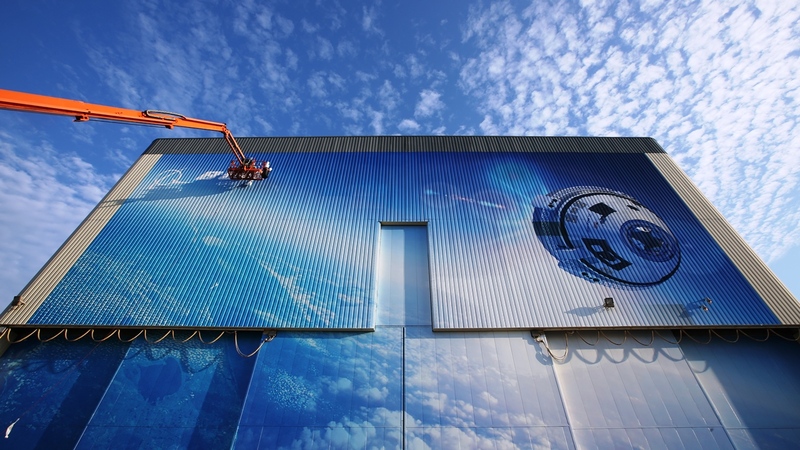 KENNEDY SPACE CENTER, Fla. — It is being reported that Boeing’s CST-100 Starliner spacecraft, which is being producing as part of NASA’s Commercial Crew Program (CCP), has encountered another delay. If accurate, this latest delay could see the mission pushed back by almost half a year. A post by Reuters has estimated that pushing back the uncrewed Starliner test flight (Orbital Flight Test 1) could mean astronauts will not fly on the spacecraft until November, 2019. SpaceX has completed both the pad abort test as well as the first uncrewed test flight of the company’s Crew Dragon spacecraft. If the current schedule holds, SpaceX will have completed the company’s Demo Flight-2 ( Boeing and SpaceX uses different designations for the mission milestones they are required to complete) four months prior to Boeing’s uncrewed flight lifting of from Canaveral’s Space Launch Complex 41. Ars Technica’s Eric Berger noted that this possible delay might not necessarily be a bad thing as the Starliner planned for use on OFT-1 will be similar to the one that astronauts themselves will use. Boeing could move on to the crewed portions of its goals in fairly short order after that. Abort tests are critical for demonstrating that Starliner can safely return astronauts to the ground should an accident occur either at the pad or while the Atlas V rocket is in flight. A problem with one of the abort engines caused toxic hydrazine fuel to leak which also forced the company’s schedule to be adjusted. NASA has awarded a total of $6.8 billion to both of the company’s competing under CCP to provide launch and landing services to astronauts traveling to and from the International Space Station. At present, the United States is dependent on Russia for access to the orbital laboratory. SpaceFlight Insider reached out to both Boeing and NASA regarding this latest reported delay. As of the publication of this report, neither have responded. A mistake stating that Boeing would conduct an in-flight abort test was corrected at 12:51 p.m. ET on March 22. This article says Boeing “In-Flight” Abort Test May 2019. However linked article only mentions a pad abort. Was not aware Boeing was going to complete an in-flight test…. Boeing is not going to have an inflight abort test. That is Spacex only. We’ve corrected the mistake. Thanks Benjamin! It is a pad abort test. They originally had an in-flight abort test on their milestones timeline, but they somehow gamed the system to have it disappeared. Expect the lack of testing to become a big issue after the SpaceX in-flight test. At this rate SpaceX will have people on Mars by the time Boeing completes a test flight. NASA needs to get its money back and give it to SNC. They screwed up big time awarding all that money to do-nothing Boeing. The fact Boeing doesn’t have an in-flight abort test makes the situation worse. They have less to do and are still eating SpaceX’s dust. Everything Boeing does is ridiculously late. I think it’s quite unlikely Boeing will fly astronauts this year.